The Landing is a contemporary room with lots of natural light. The windows look out to the spectacular views across the North Somerset countryside and over to Wales. 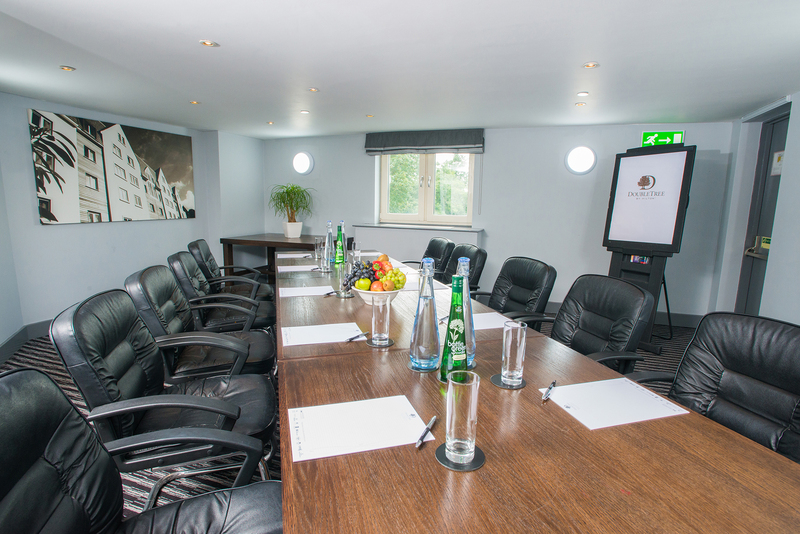 Situated on the first floor and close to the Great Room, The Landing is perfect for small to medium-sized meetings, private dining and business lunches, or as a separate breakout room and can seat up to 24 guests in a theatre style set up. The Landing is fully air-conditioned and comes fitted with a Flat screen, wall mounted plasma screen which connects directly to laptops. The Landing is also adjacent to a seated lounge area, ideal for breakouts and informal discussions.